Dr. Scott Rimes is the Principal at McLaurin High School in Rankin County. He holds a M.Ed. in Biology along with an Ed.S and Ph.D. in School Administration and Leadership. A veteran, he served in the infantry as a Bradley Vehicle Commander during Operation Desert Shield/Storm. Throughout his 18-year educational career, Dr. Rimes has served in only Title I schools. He has experience in inner city, suburban, and rural school communities. 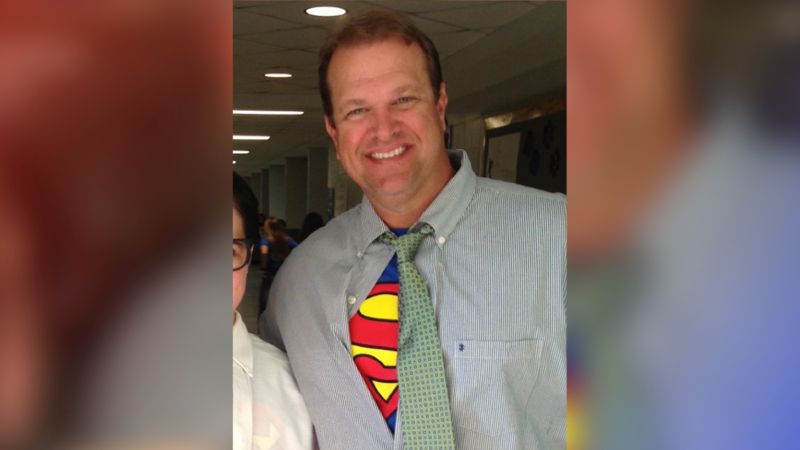 He has earned many awards as a Biology Teacher, Head Baseball Coach, and Principal. Dr. Rimes has been instrumental in moving school organizations forward by increasing graduation rates and improving the overall school environment and experiences for students, teachers, and parents. Scott grew up in a home that was one sided when it came to education. His dad, though very intelligent, was an eighth grade dropout. His mom did graduate from high school but chose not to attend college. Scott was the first out of the four siblings to attend college, yet he was the youngest. Through hard work and constant motivation from his parents, he and an older brother furthered their degree and obtained a PhD. Because of his adversities, Scott is more understanding of his students and uses his own experiencing to motivate and push his students to achieve. He wants to start off by first acknowledging that it was an honor for being selected to be an Community Champion; however, it was a collective effort from his administration team, staff, and counselors that made a difference throughout their community. Scott knew that in order for his students to have a positive reflection of themselves, those around them must also exude a true and genuine positive attitude; therefore, he began with his teachers working together and setting rules and procedures geared around the success of the students. With that, McLaurin has embraced the “Student First” mentality, which is to always remember to consider how one’s decisions will impact the students. Rimes has been dedicated in leading each of his students on a path of success, for his Counselor, Christy Walker, stated, “Because of all of our hard work, the culture has changed from “I want to take an easy class” to “Give me a class that will help me in the future”. Rimes treats parents as his clients whom he is providing the best service that he can, and with that, he believes that if they had a choice of which school they would want their child(ren) to attend, he has no doubt it would be McLaurin High School. Dr. Rimes can be followed on Twitter @coachrimesphd.